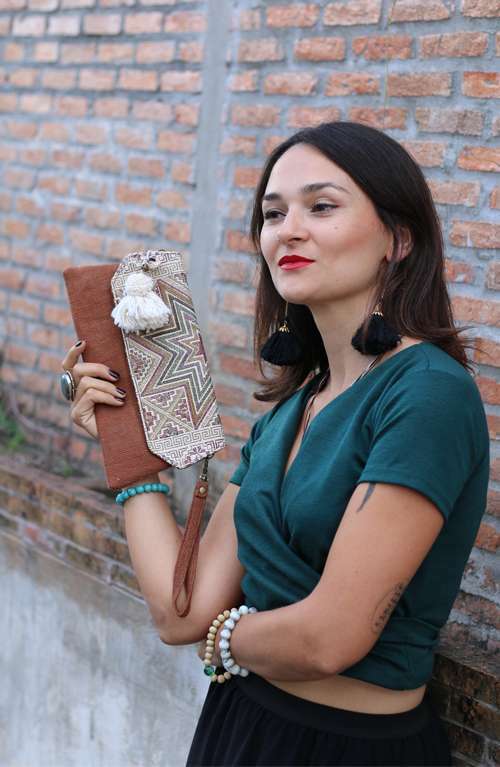 Beautifully rustic star clutch with natural jute fabric handmade in Thailand. 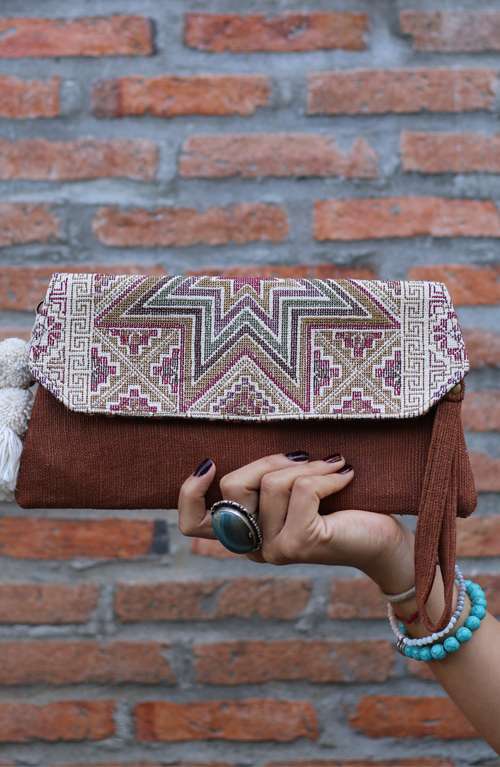 This boho purse is handmade with love in Thailand. 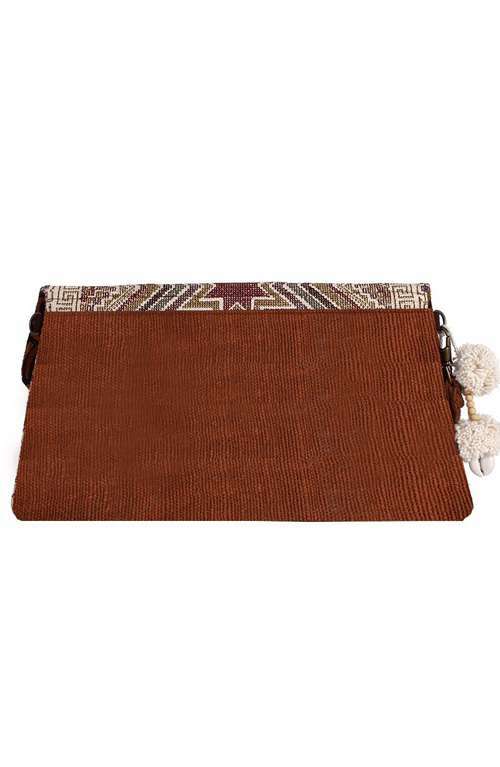 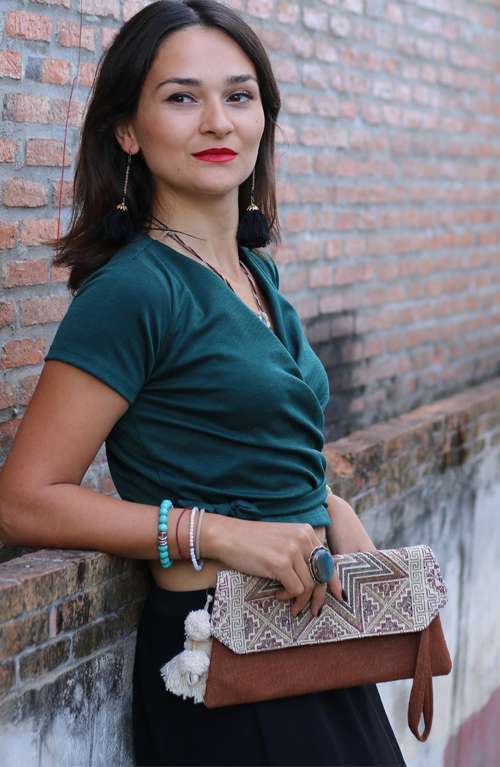 The unique bohemian clutch purse features gorgeous rustic brown jute and an embroidered star design. 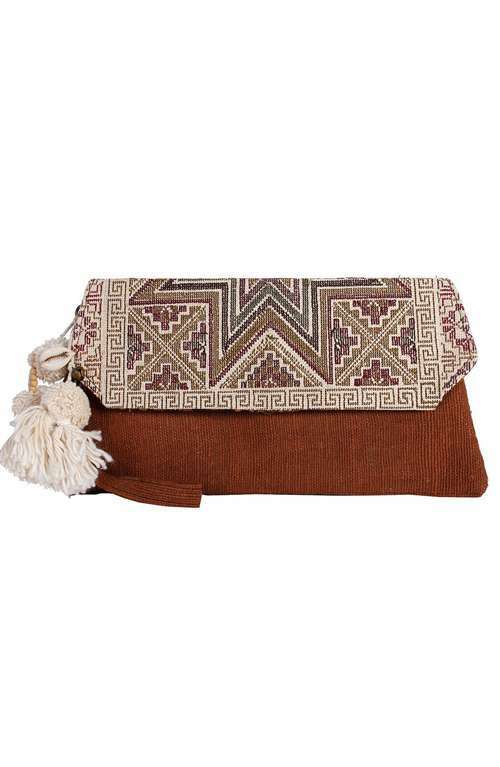 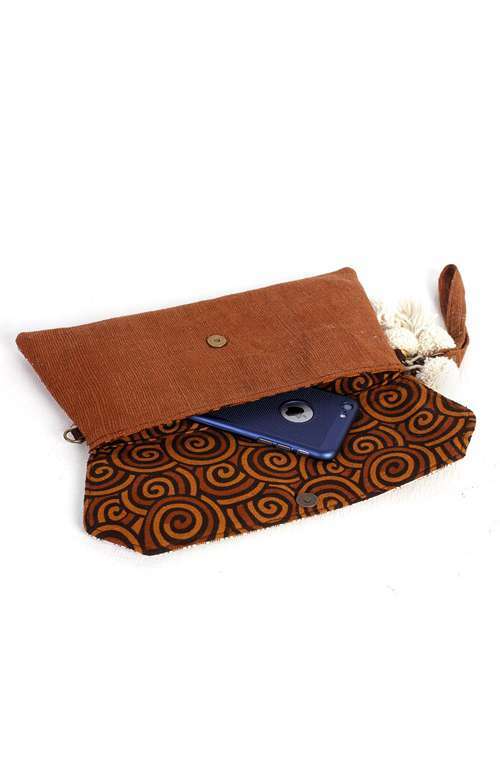 The small purse has a magnetic closure with a zippered pocket inside.